When the commercial capital, Mumbai, started getting more and more congested, the thought of building a parallel township struck a bunch of engineers in 1960. And that’s how the planned city of Navi Mumbai came into existence. Fun fact: Out of 73 cities surveyed for being clean under the Swachh Bharat Abhiyan by Union Ministry of Urban Development, Navi Mumbai is at the 12th rank, building its case for being a city that is ready and can handle more people who are moving in from across India. Though quite far away from the mainland, it’s not all that barren. And if you find yourself there, here’s a list of places to visit in Navi Mumbai. 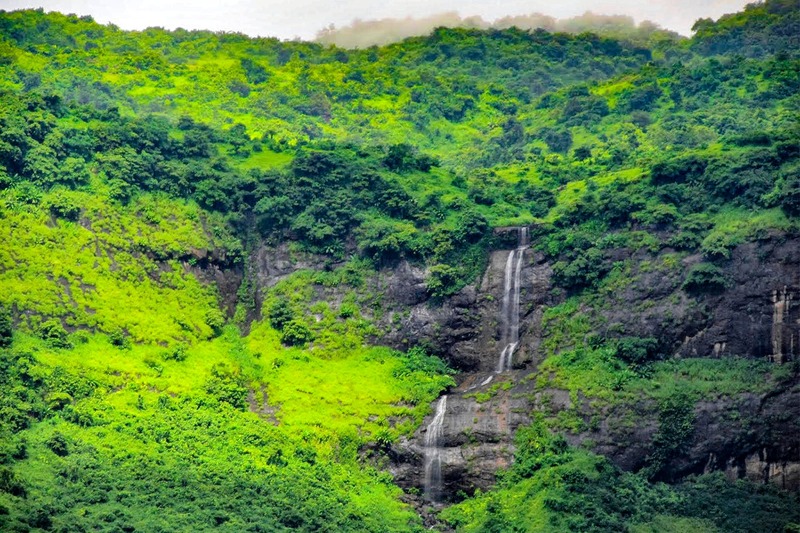 Pandavkada waterfall is located in Khargar and makes for a beautiful spot to soak in some nature. Even better in monsoon, a visit to this fall might add zing to your otherwise mundane weekend. A splendid view of the lush green mountains all around, and a small natural pool for you and your folks to have fun in, Pandavkada is a good break from all things concrete. Be cautious, and desist from indulging in anything daring though, because the waterfall can prove to be dangerous. When was the last time you found a huge park that makes for a breathing space beside having activities that will keep you entertained? Well, the Central Park in Khargar is that place. A sprawling area with jogging tracks, an amphitheatre, and a special area for the kids to play, this pet-friendly park is lined with flower beds and green belts. It even has man-made pools inside to sit around and chill. Open from 6 am to 6 pm, head here to spend some quality in peace. Just don’t litter. Wonders Park located in Nerul is where you can take your kids. A bunch of rides there, fairly less complicated, are ideal for children. The park, neat and well maintained, also has mini replicas of the seven wonders of the world which makes for a good field learning for the school goers. Located in Nerul, DY Patil Stadium is a state of the art ground that hosts national and international cricket and football matches. When it is not hosting sports, it’s busy hosting live events (remember Justin Bieber’s concert?) that require that kind of capacity; DY Patil Stadium has a seating of 55,000 which makes it the ninth largest cricket ground in India. Inorbit Mall in Vashi is a quite a shopper’s paradise. Though not as big as other Inorbits of the city, it still houses some of the most sought after brands in a compact area which will make it easier for you to find your way to the stores. It has a Hypercity for all your general needs, Shoppers Stop and Westside for everything apparels and accessories, and other premium brands such as Charles & Keith, Bose, Fab India, Fossil and more.